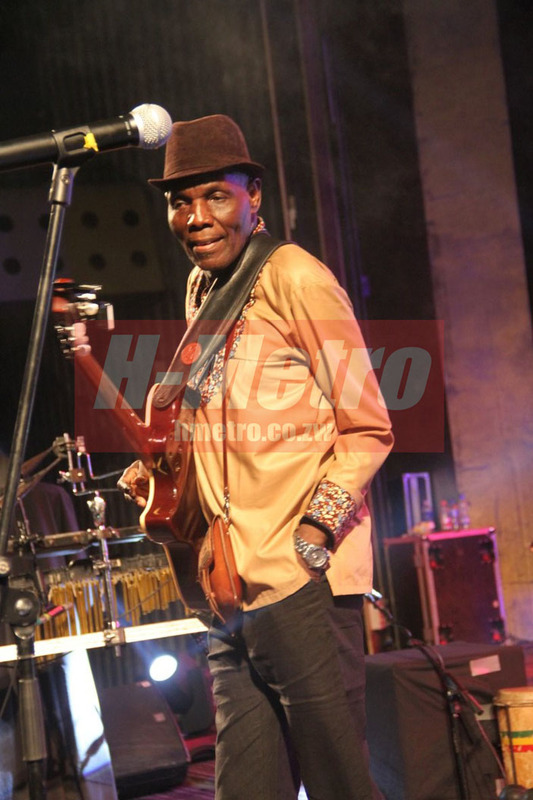 CONDOLENCE messages are pouring following the death of superstar Oliver “Tuku” Mtukudzi who succumbed to diabetes at the Avenues Clinic, Harare yesterday. Who would have thought, that bra Oliver Mtukudzi would be reunited with fellow African music legend, bra Hugh Masekela – on the same day just a year later? Together your impact shook the African soil like an earthquake, yet you still instilled a sense of hope for a brighter day. I am at loss for words, it is only yesterday I talked about his illness and how I was really worried about it. Rest In Peace Samanyanga. We have been robbed, a legend is gone. We were working on a number of projects we have lined up for this year. It’s unfortunate he is gone. He was more of a brother to me. There was a rumour two years ago and I drove to me that I am still alive but now he is really gone. This is sad, he was not just a musician to me but a father fugure and magitare acho achanakidza here? However, we just need to give him assurance that we will keep Zimbabwe music alive, we have talked a lot with mdhara (Tuku) about his music and what needs to be done by musicians. At least he left some wise words for me. RIP Samanyanga. He was my mentor and my greatest inspiration up until now I have learnt a lot from him. He is an inspiration to many artists and we have toured a number of countries and he was know every well. When I did a collabo with Diamond Platinumz, he was singing Tozeza Baba. I don’t Zimbabwe will have a musician who will feel the void left by Tuku. So it seems, our hearts will not rest from the torture of death- 2019’s very first act is to cut us with the sword of death from the genuine joy in our midst. In Oliver Tuku Mtukudzi, we stood tall with an eternal pride in our musical heritage; how shall we rest when heroes fall? Our hearts are shattered by the passing of Legendary Zimbabwean musician Oliver ‘Tuku‘ Mtukudzi. Tuku was 66 and ready to release his 67th album. Thank you for inspiring a generation of musicians. May his soul rest in peace. It is with sadness that we say Rest In Peace to one of the greatest musician of our time, Oliver Mtukudzi. Thank you for sharing your talent with Africa and beyond. From Zimbabwe to the world! Although the legendary Jazz musician – Oliver Mtukudzi has passed, his music will live on forever. Lord may you please be with this Lioness of woman, kept our Legend and stood by him in everything… While we pray for God to be with Dr Mtukudzi family, pray for this woman Daisy Mtukudzi who lost a husband and a son in a short space of time… Dr Oliver, Rest in Peace!! A year ago, the world lost Icon Bra #HughMasekela. The very next day Bra #OliverMtukudzi joined us for some #FreshBreakfast. He spoke so fondly of Bra Hugh & the memories they created together. Exactly a year later & they are together again. Zimbabwe has lost its most memorable voice today. We at the EU Delegation are shocked and saddened to hear that @TukuOfficial is no longer with us. Thank you for the music, the memories and the difference you made to us and Zimbabwe! Rest in peace!